The girls in Junior and Senior Infants had a fantastic time in PJ's Play Centre for their school trip. 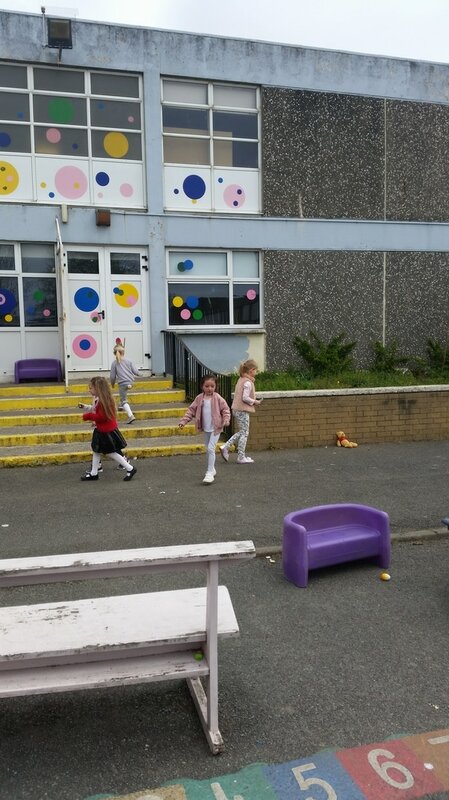 They enjoyed playing in the soft play area, Go Karting and especially showing off their dance moves at the Disco! Take a look at our photos and you will see how much fun we had! 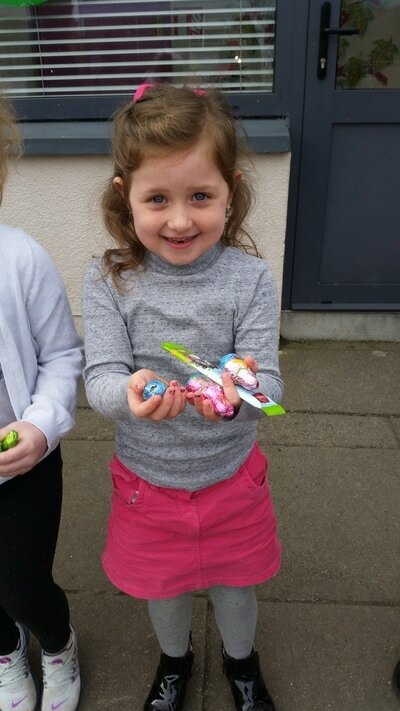 The girls in Senior Infants were very busy on Friday after the Easter Bunny came to our school. 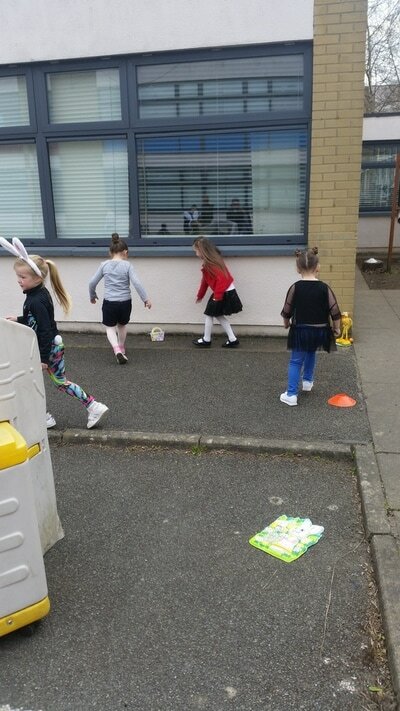 We had great fun trying to find the Easter eggs in our school yard. 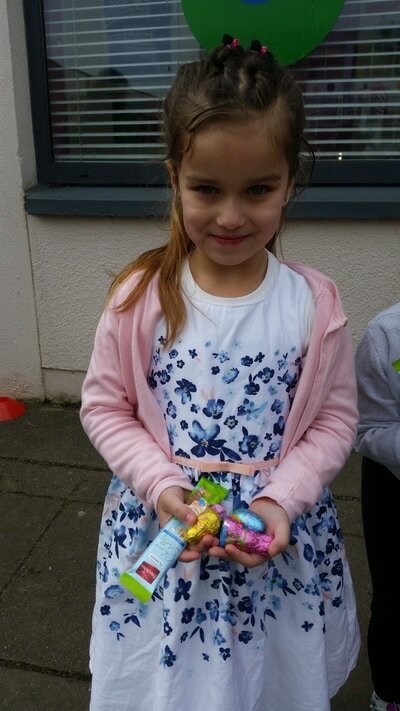 We were all delighted when we found the eggs! 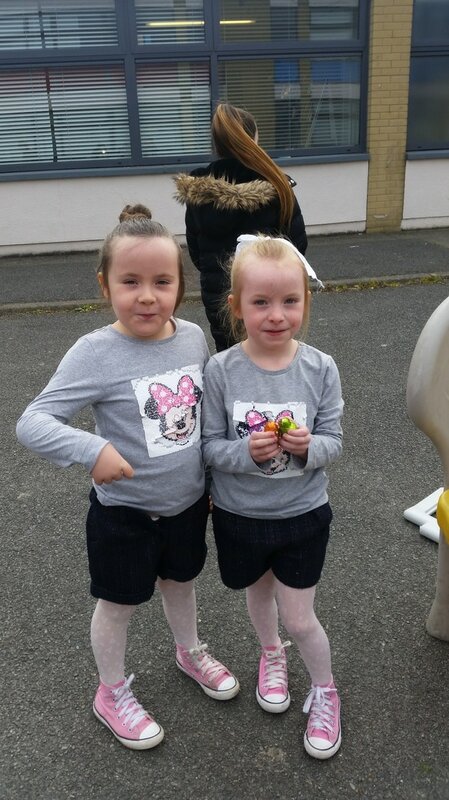 Everyone looked fantastic for the Saint Patrick's Day celebrations and parade in the Virgin Mary school. We enjoyed all the fun games and activities during Seachtain na Gaeilge. Look through our photos to see how great we look! Natalie and Claire have been teaching the girls some new dance moves over the last few weeks. 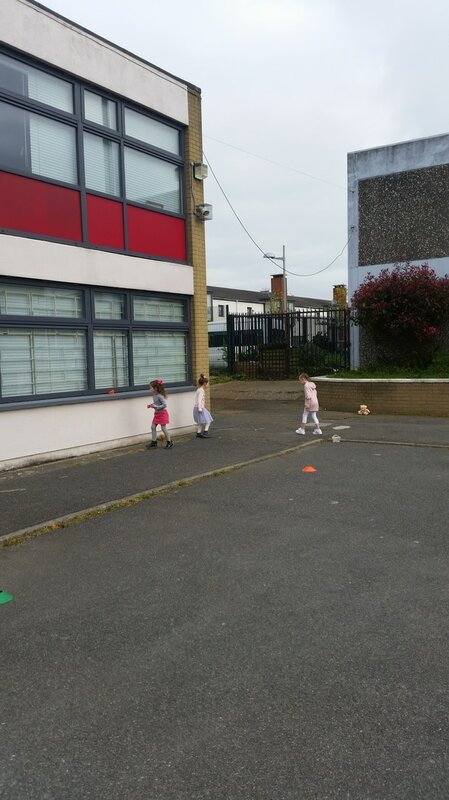 Every Tuesday Senior Infants have soccer training with Earl and Sean. The girls are having great fun and learning new skills every week. Take a look at the girls in action. 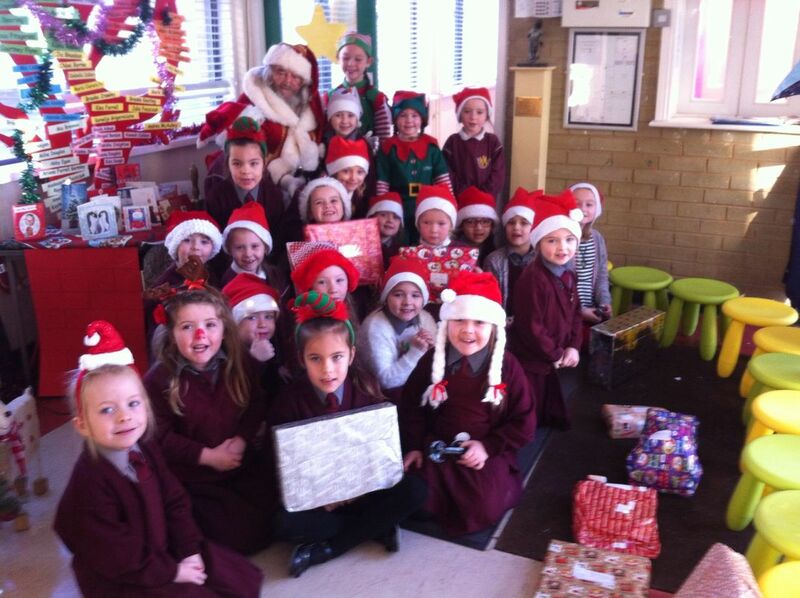 Before Christmas Senior Infants were very busy working in Santa's Workshop. They designed beautiful Christmas wrapping paper and carefully wrapped presents for every girl in the class. They made their own Christmas stocking to hang up at home for Christmas. 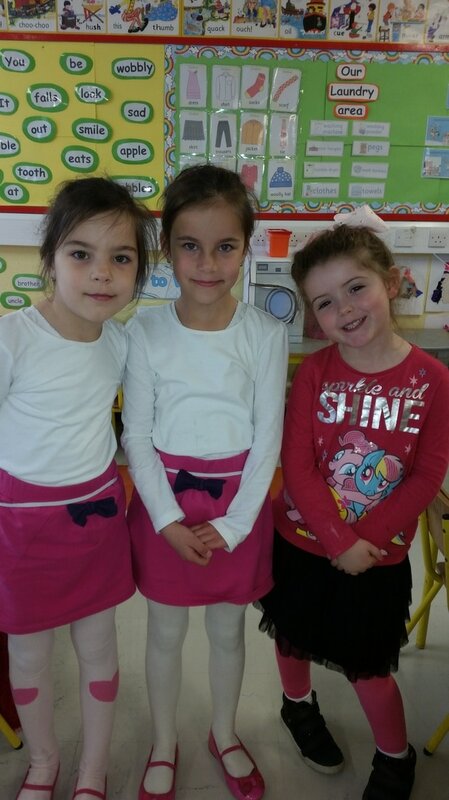 The girls really enjoyed learning new songs and poems and listening to lovely stories about Christmas in class. 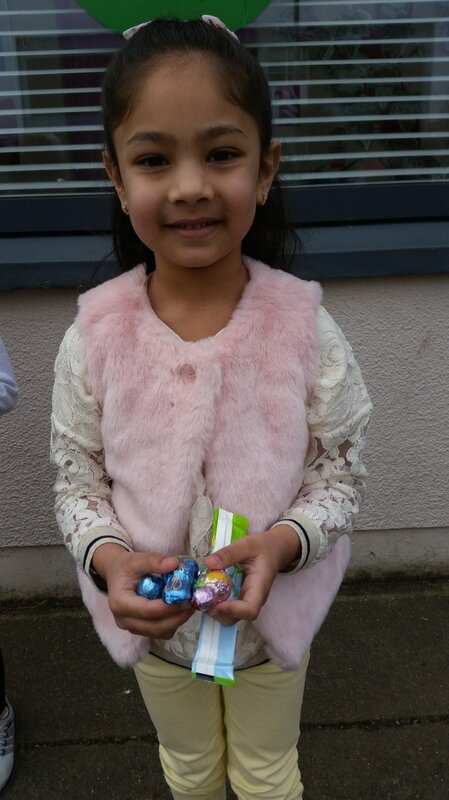 There was great excitement in Senior Infants when Santa came to our school and gave all the good girls a lovely present. Look at the excitement on these faces! 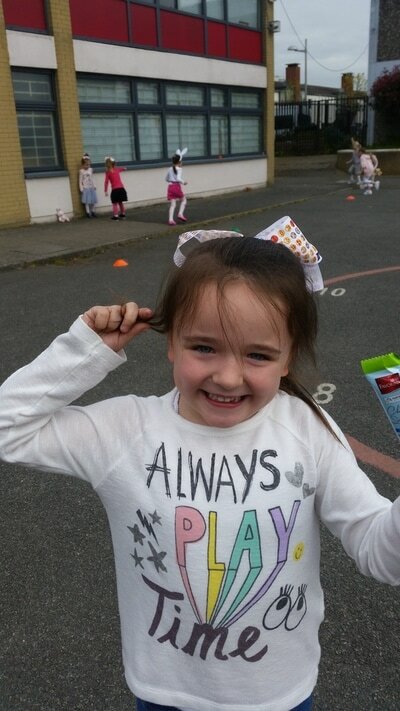 Senior Infants have been very busy learning about procedural writing in class. We had a great time making spooky Rice Krispie buns for Halloween in the cookery room. Then, we wrote some simple instructions on how we made them when we went back to class. They were delicious. Look through our photos and you will see how busy we were. During September and October we have been talking about and looking out for signs of autumn. We went on an autumn hunt and found lots of red, brown and yellow leaves. When we went back to the classroom we made lovely leaf rubbings using crayons. We learned information about the squirrel and made lovely little squirrels during Art. Sammy the Squirrel even visited our classroom to tell us how busy he is collecting berries and nuts for the winter. 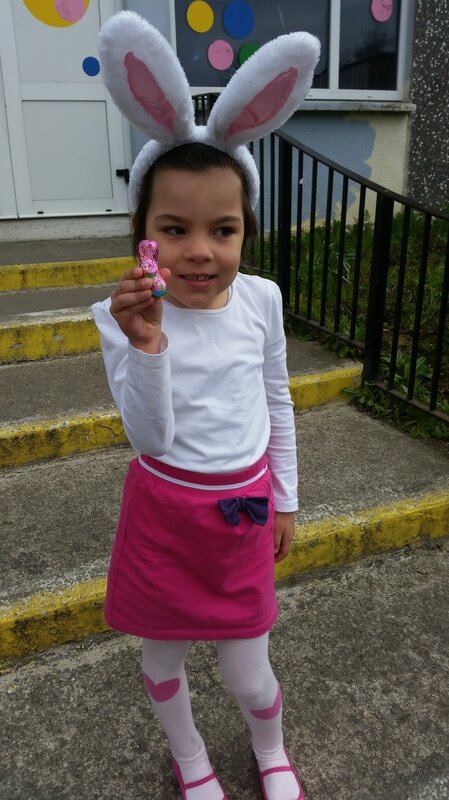 Look through our photos and you might see Sammy. We all really enjoyed playing lots of different games in class during Maths Week. Ms Fearon and Mr. O'Donovan helped us to play fun Maths games on the computers in the computer room. We all had great fun.